Millbury – Thomas W. Powers, 79, died Monday, Aug. 29, 2011 in UMass Memorial Healthcare – University Campus. Born Aug. 20, 1932 in Worcester, a son of the late Thomas W. Powers and Maryann (O’Leary) Powers – Murphy, he was a graduate of Worcester Boys Trade School and later earned multiple degrees from Northern Virginia Community College. Mr. Powers served with the United States Air Force for three years before transferring to the United States Army, where he served during the Korean Conflict as a member of the Army Security Agency. After 20 years, and with a rank of master sergeant in his service to the military, he was honorably discharged in 1970. He then spent five years as a United States Supreme Court Police Officer before joining the Federal Bureau of Investigation (FBI), where he worked as Director of Audio & Visual Services at the FBI Academy in Quantico, Virginia, for more than 15 years. His career with the federal government ended with work in the United States Post Office distribution centers in Worcester and Shrewsbury, with retirement in 1994. Mr. Powers lived in many parts of the world during his service to is country, including Japan, Germany, France and Turkey. He also lived for more than 20 years in Woodbridge, Virginia before moving back to his native New England and settling in Millbury in 1983. He was an avid football fan with allegiance and love for his New England Patriots. He was also a voracious reader, enjoyed a green thumb with gardening and yard work and above all, time spent with his grandchildren and family. His first wife, Geraldine M. (McCarthy) Powers, died in 1989. He leaves his wife, Barbara A. (Cusson) Coccio-Powers; his sons, Michael T. Powers and his wife, Colleen, of Dumfries, Virginia, Dennis P. Powers and his wife, Mary, of West Springfield and Kenneth P. Powers of Worcester; step-sons, Anthony H. Coccio Jr. and his wife, Amy, of Auburn and Mark J. Coccio and his wife, Ronda, of Burbank, California; his siblings, Marilyn A. Early and her husband, former Congressman Joseph Early of Worcester, Robert P. Powers and his wife, Mary Anne, of Shrewsbury and Kenneth P. Powers and his wife, Laurie, of Hopedale; eleven grandchildren; many nieces and nephews. Family and friends will honor and remember Mr. Power&apos;s life by gathering for calling hours Thursday Sept. 1, from 4 to 8 p.m., at Heald & Chiampa Funeral Directors ~ The Sumner House, 5 Church Rd., On the Common, Shrewsbury Center, and again at 8:45 a.m. Friday Sept. 2 before leaving in procession to Saint Joseph&apos;s Church, 189 Oxford Street, Auburn, where his Funeral Mass will be celebrated at 10 a.m. Burial with military honors will follow in Saint John&apos;s Cemetery, Worcester. Honor his memory with a contribution to the Cystic Fibrosis Foundation, Massachusetts/Rhode Island Chapter, 220 North Main Street, Ste. 104, Natick, MA 01760. 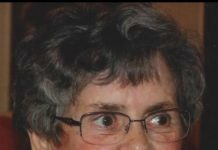 For online condolences, please visit www.healdchiampa.com.